For some time now, James and I have been meaning to walk over the causeway to explore Cramond Island. Its one of those places that is right on our doorstep but that we hadn’t taken the time to visit. 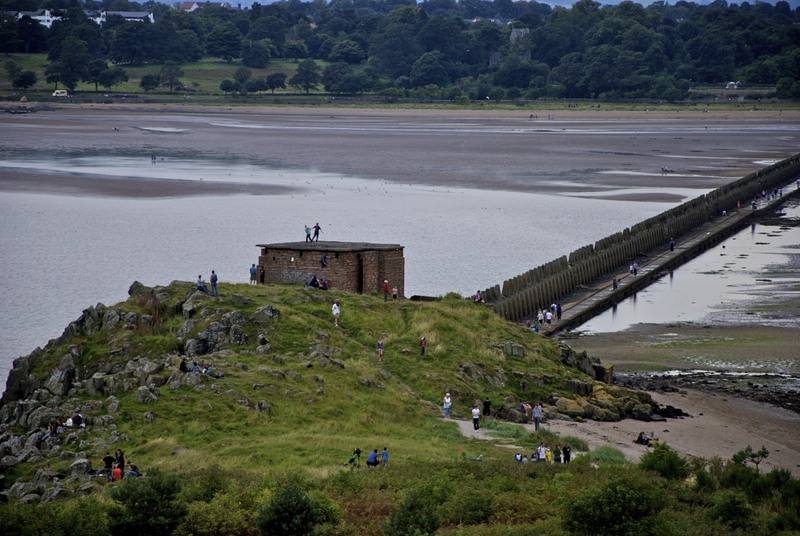 Yesterday afternoon, however, James dragged me out of the house; destination Cramond. When we arrived we realised we hadn’t even remembered to check the tide times but we were lucky as the tide had been heading out for a couple of hours and the causeway was clear. We didn’t have time enough to fully explore the whole island but we’ll definitely be back over there in the near future to do just that. For now though, here is the view back to the ‘mainland’ from the highest point of the island.